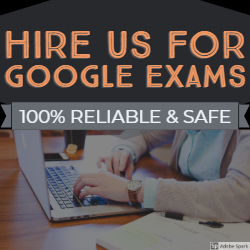 If you want to become Google Adwords or Analytics Certified professional but don’t have time for thorough study of it’s study material available on Google; Come to us to get the easy solution (It’s not a short cut but a smart way to complete study). Join us to get Quick Prep Guide. We’ll help you to become qualified Adwords professional or Analytics professionals. School4Seo has joined hands with iPassExam to provide you extensive solution for your problem. 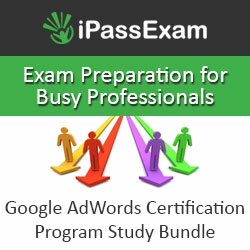 More than 300 questions are available to cover all topics of Google Adwords Fundamental Test. You will be given virtual environment to take tests multiple times. You can study from home or ask for virtual class using Google Hangout.